we regard every producer and creative person as artists. we cherish it and enjoy the whole production process. we have our own factory making metal crafts and lanyard. we have also good cooperation with other gifts factory. &hearts; keep cooperating with famous enterprises such as america horse club, subaru cars, banks of china, midea group, etc. &hearts; mould charge/sample charge will be return to you if order qty meets our order policy. Wenzhou Junhua Arts&Crafts Co., Ltd. Product name: New Sublimation Blank Personalised Acylic Badge material: metal size: 7cm print size: 5cm color: siliver/ gun metal/ gold Gross weight: 62kg packaging: 1pcs/opp usage: various metal sport metal can be with lanyard,souvenir medal& medallion, trophy medal, back side is flat. 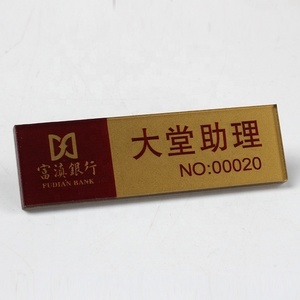 custom gold metal Name Tag Features: 1) Material: z inc alloy, brass, copper, iron, pewter, aluminum, etc 2) Customized colors, sizes and shapes available upon requests. 3) Competitive price and fast delivery time. 4) OEM service available 5) Suitable for promotion We work with our customers on a one on one basis. 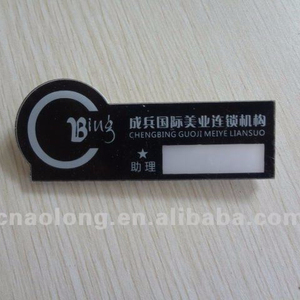 detail information item name badge material abs , aluminum, aluminum alloy, zinc alloy, acrylic, pvc, etc. we would like to make the customer wanted packing. What is your production time 9 The mass production time is 12 - 15 days , if you need the goods urgently , please just feel free to contact us. What is your payment terms 9 Generally , our payment terms is PayPal , Westen Union , T/T . 7. Still not get the answer 9 Please feel free to contact us , we will reply you within 12 hours 2015 hot sale custom logo reusable name badges with gold plated color Send your Inquiry Details in the Below, Click &quot; Send &quot; Now! custom anonymous mask logo print plastic pin button badges Suitable for promotional campaigns. 3.Customized designs are Unit Price Special quote case by case according to your design. We look forward to receiving your specific inquiry to quote you accordingly. name plastic badge Size customized shape and size, 2'' diameter or etc. MOQ 1000 pcs samples time 5 days after confirm artwork. production lead time within 10 days after confirm samples. Zhejiang Yinjing Crafts Co., Ltd.
w: 12kg/ctn characteristic 1),cheaper price and good promotional 2)colorful printing 3)All the material can pass Europe standard. Other offer information 1.sample time:3days 2,sampe charge:USD 50.0 ( After order will be refund) 3.Production Ability: 1,000,000pcs/month. 3.MOQ: welcome any quanitity 4.Delivery time: 7days. 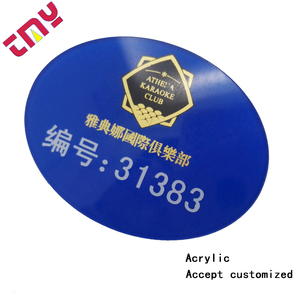 Yiwu Tooomo Import & Export Co., Ltd.
Kunshan XPYJ Arts & Crafts Co., Ltd.
Alibaba.com offers 367 acrylic blank badge products. About 26% of these are badges, 10% are metal crafts. 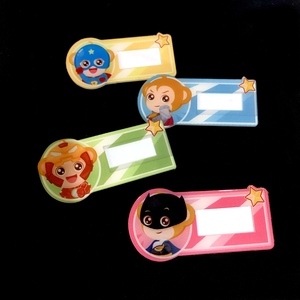 A wide variety of acrylic blank badge options are available to you, such as pin on, button on, and sew-on. You can also choose from printed, plating. As well as from 3d, magnetic, and nickel-free. And whether acrylic blank badge is metal, or plastic. 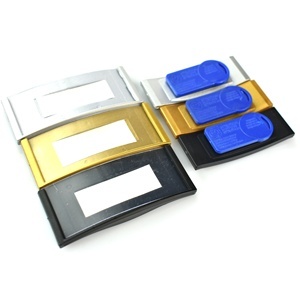 There are 288 acrylic blank badge suppliers, mainly located in Asia. The top supplying countries are China (Mainland), Pakistan, and Singapore, which supply 96%, 1%, and 1% of acrylic blank badge respectively. 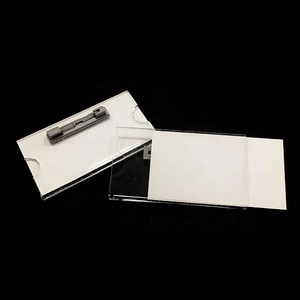 Acrylic blank badge products are most popular in North America, Western Europe, and Southern Europe. You can ensure product safety by selecting from certified suppliers, including 19 with Other, 18 with ISO9001 certification.